So it’s Valentine’s Day; it also happens to be a Friday. So I think people have more than one reason to be happy today. 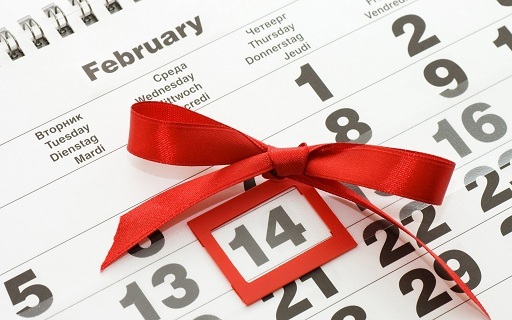 I’ve always believed that one does not need only one day a year to spread the love. Love is beautiful year round, and while I wait to fall in love all over again when I deliver my baby, I’m feeling a lot of love around, both on the personal and professional levels of my life. February is a month that I’ve grown to love as far as my personal life is concerned. I gave birth to my first son on February 26, 2010. Two years ago, in February, I had an extreme kitchen makeover; yes, this is huge for me because I believe I would have been a chef in another life! As for last February, I was in the best shape of my life after embracing a new, healthy lifestyle and training on a daily basis (I am a fitness fanatic!). This February, I have a bun in the oven! How can I not love this month? It’s been showing me a lot of love for a few years now! It’s been a couple of weeks since I last blogged. I’ve been overwhelmed. It even took me all day to write this post! I had to take several breaks! I love my job, so I can never complain, especially that I am my own boss, which makes it even more fun and more enjoyable. Not only have I been receiving huge workloads from existing clients this month, but I also managed to gain a new client, and a major one for that matter! When you feel loved, you have to spread the love around! I wish you all a Happy Valentine’s day, and may all your days be filled with love! Don’t forget, love someone today. Anyone!